Coke pushing rams (CPR) is a machine of a coke oven battery is designed for pushing coke from the oven. Also, the arrangement of functional mechanisms and devices (providing the possibility of working in one or several positions). Control: power operated motor controllers, frequency transducers, software controllers. Operating modes: manual, semi-automatic by operation groups. Maintenance cycle time – up to 720 seconds. 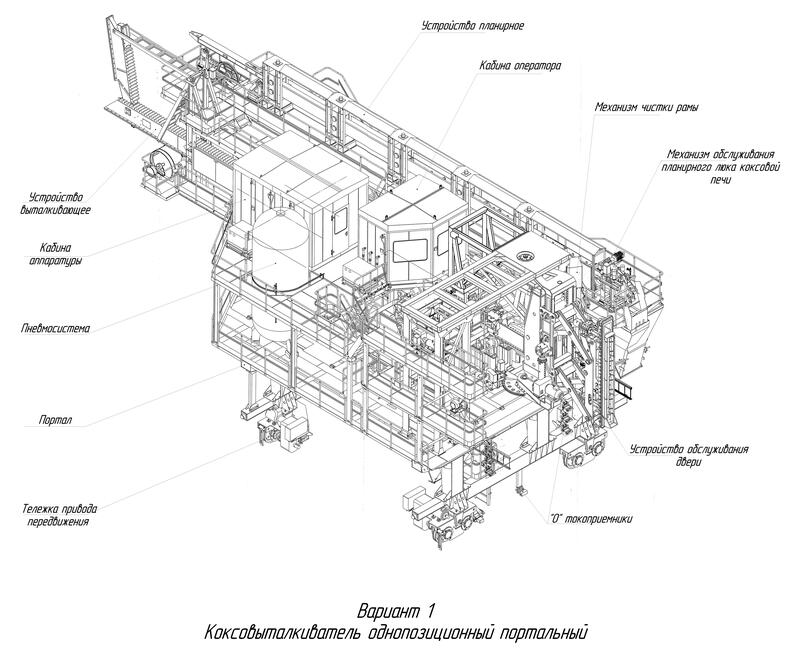 Weight and dimension parameters, technical equipment (video control device and dust suppression devices, etc.) can be updated based on the additional orders. Have questions - email us! We will contact You during the day.